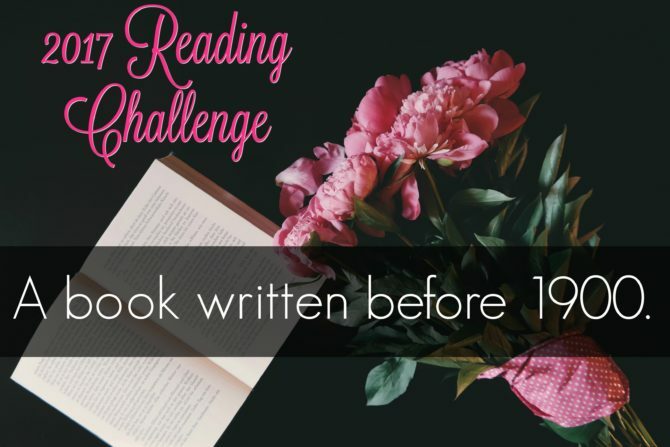 2017 Reading Challenge: A book written before 1900. Though writing for the purposes of record keeping has existed for thousands of years, scholars disagree about when these writings began to resemble what we now consider literature. However, there is a general consensus that the modern novel began with Don Quixote, published in 1605—which means that I had nearly three hundred years’ worth of novels to pick from when choosing “a book written before 1900” for the first month of my challenge! 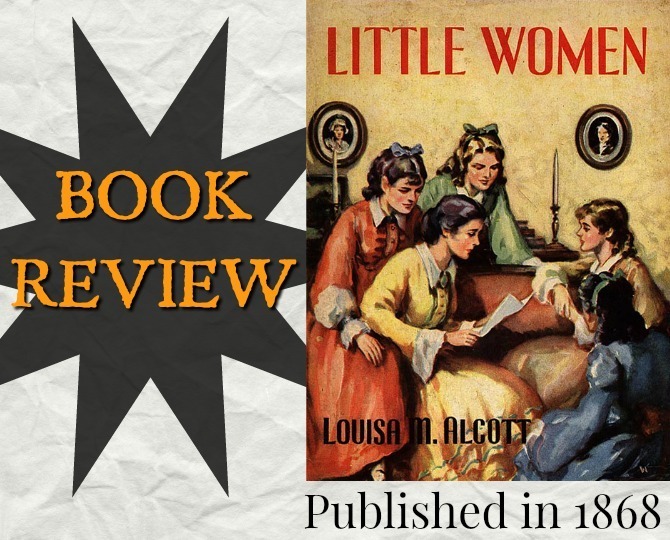 Though Alcott later admitted she did not enjoy writing the book and personally found it dull, Little Women was an immediate critical and commercial success. It was a novel ahead of its time, as it was one of the first children’s books written specifically for girls and provided one of the earliest visions of the “All-American Girl.” The book was also unique in that it demonstrated the value of domesticity while also promoting feminist ideals such as gender equality and female vocation and education. 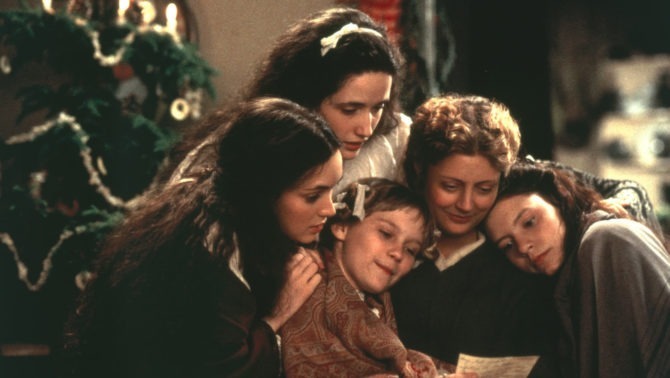 It would be nearly impossible to grow up in America without some familiarity with Little Women. Prior to this reading, I already knew and loved the story based on several movie versions I had seen. Remarkably, though, I’d never actually read the book—and not for a lack of trying! Over the years I’ve picked up Little Women more times than I can count, but could never get past the first few chapters. (I have to agree with the author herself that the story, at times, is pretty dull.) For this reading, I finally succeeded in seeing the book through to completion by listening to the audiobook while following along with the ebook on my Kindle. I’m glad I finally stuck it out, because despite its dryer moments, this is such a sweet story that truly stands the test of time. Alcott’s characters are vivid and vibrant, serving as positive role models for young readers, without being so idealized as to be unrelatable. Their experiences are of their time, giving us insight into the lives of young women during the Civil War era, but their personal discoveries and challenges feel surprisingly current. There is quite a bit of whitewashing during the harsher points of the story, but I actually found this refreshing when compared with the sensationalism and angst that dominate YA novels of today. Though I enjoyed the book, I wasn’t the biggest fan of the writing style, which is impersonal and flat. One of the book’s biggest selling points is its embodiment of old fashioned morals, but the explicit spelling out of each lesson felt insincere and forced. I’m curious how this delivery might have come across to its original audience, as I can’t imagine it being embraced by today’s young readers. Despite my criticisms, I do understand why this book is beloved by so many and am thankful to Miss Alcott for sharing her words with so many generations of delighted little women. I’m not a big reader of the classics, but tend to be very loyal to those I have read. 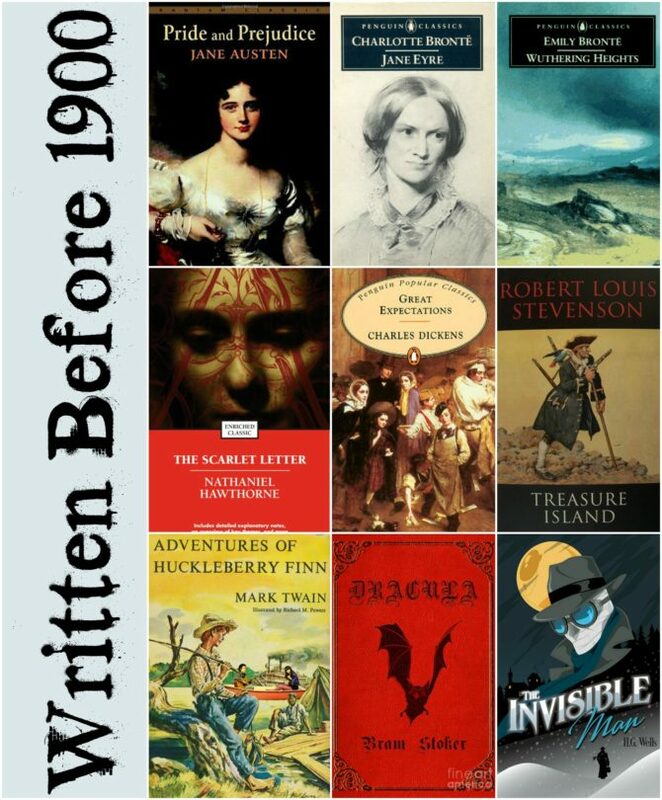 In fact, a number of my all-time favorites happen to have been written before 1900. (I’ve starred my personal favorites below.) It was tempting to pick a book I’d already read and knew I would love, but ultimately I decided to challenge myself by choosing a new-to-me classic. 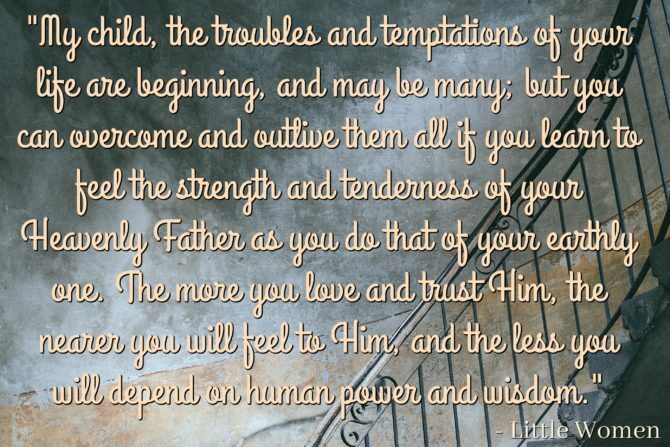 *Pride and Prejudice, by Jane Austen (published in 1813) . . . or anything written by Jane Austen! *Wuthering Heights, by Emily Brontë (published in 1847) Before now I hadn’t realized that Jane Eyre and Wuthering Heights were published in the same year. Are you a lover of the classics? If so, which are your favorites? What book would you have read for this category?